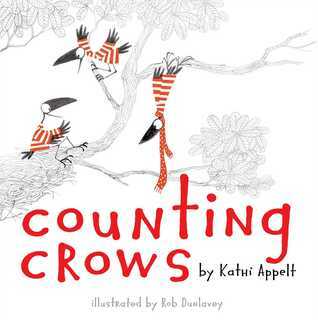 March | 2015 | What is ML Reading? Last autumn, I wrote about the book Candy Experiments. ML loved it so much she based her science fair project this winter on one of the experiments in the book. 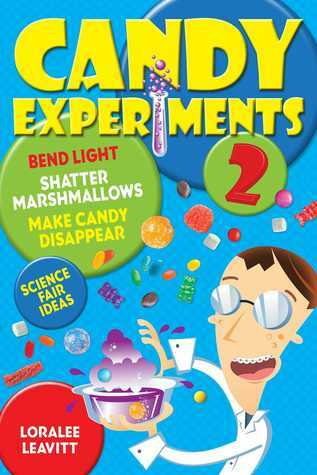 Candy Experiments 2 by Loralee Leavitt arrived last week. 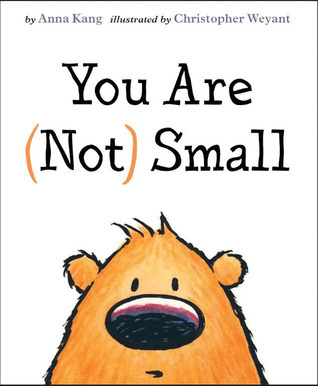 After a busy weekend, I remembered the book. ML perused it in her bed last night. Then, quickly asked if we could go to the store tonight to purchase warheads, pop rocks and an egg. In the name of science, we’re doing a candy run after work and school. ML wouldn’t let me see the experiment. She wants it to be a surprise. 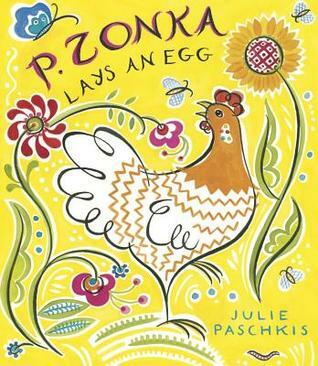 I’m pretty certain there will be some fizz; but I’m not sure why she needs an egg. 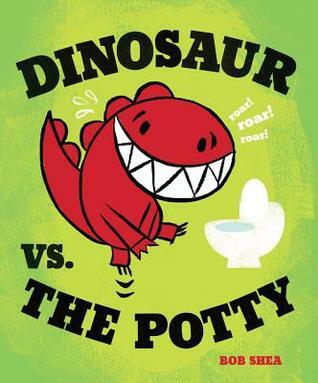 Dinosaur fights everything. 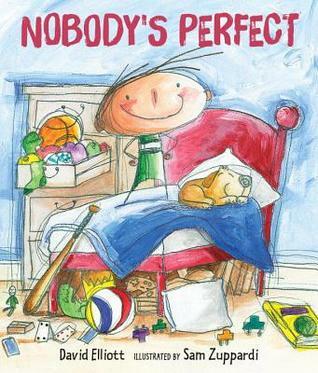 . . the potty, school, bedtime, the library, mommy and even Santa. 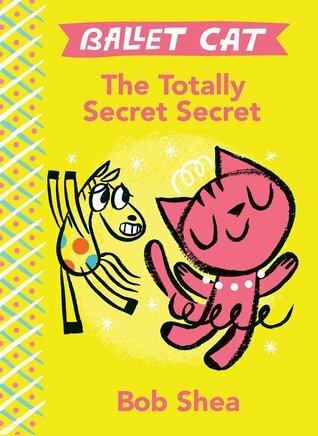 This adorable, hilarious series by Bob Shea is perfect for the toddler and preschool set. 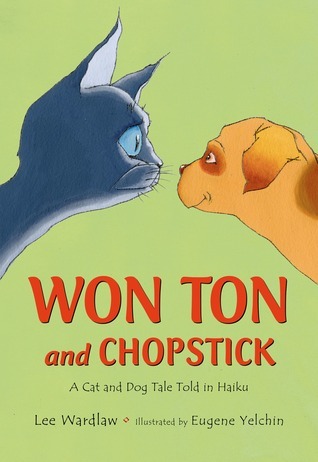 Each book has great quotes and funny details in the illustrations. I’m highlighting what I love the most from each book. 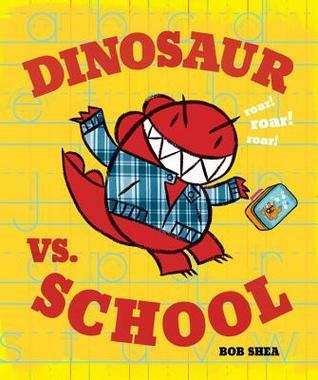 Dinosaur VS. School – Love the googly eyes. 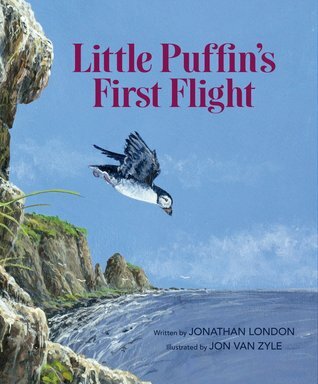 A first in my picture book reading experience. 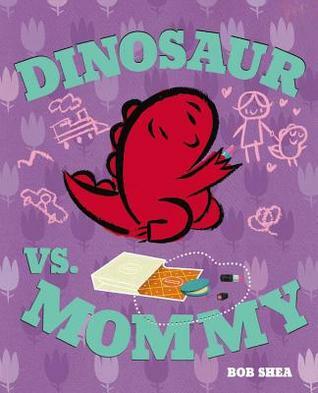 Dinosaur VS. Mommy – So much to love in this book. From the freshly folded laundry to Dinosaur’s creative collage of an argyle sock, orange, pants, a plaid shirt, underwear and even a pink bra. There’s an added bonus in this book. A balloon featuring a character from one of my favorite Bob Shea books. . . Unicorn Thinks He’s Pretty Great. 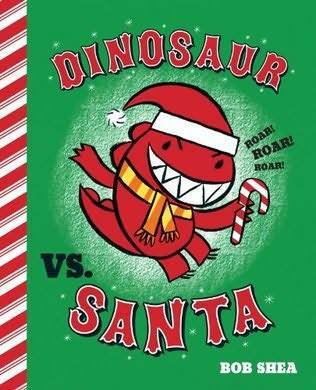 Dinosaur VS. Santa – I love the decorated Christmas tree. Reminds me of a story my neighbors shared about me helping decorate their tree when I was a preschooler. 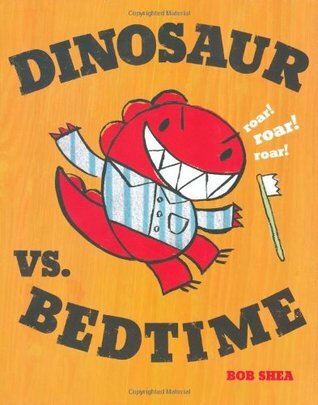 I’m curious if a book titled Dinosaur VS Daddy is in the works. 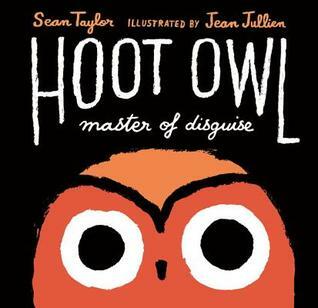 In the meantime, I’m eagerly anticipating Bob Shea’s newest release on 05/05/2015. . . Ballet Cat: The Totally Secret Secret. 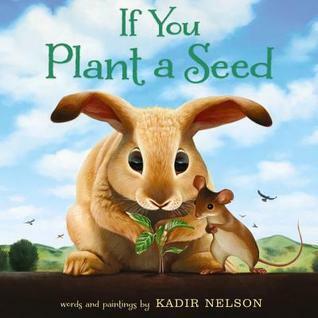 If You Plant a Seed by Kadir Nelson is exquisite and motivating. This weekend, we’ll make a special trip to the garden store to pick up seeds. After this harsh winter, we’re looking forward to digging in the dirt. Kadir Nelson’s illustrations are stunning. 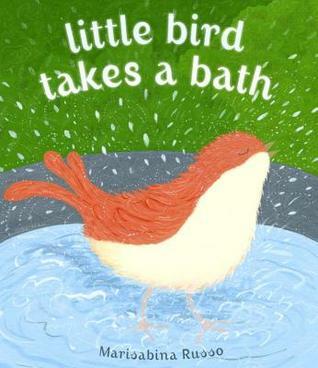 Don’t miss the page without any words and 5 birds. Their expressions are priceless. My coworker claims, “It makes me think about what my teenagers look like when I ask them to do something.” Sadly, they look a little like the look ML gave me last night after she said, “Don’t talk to me.” She’s only eight, I’m not ready for teenage looks. 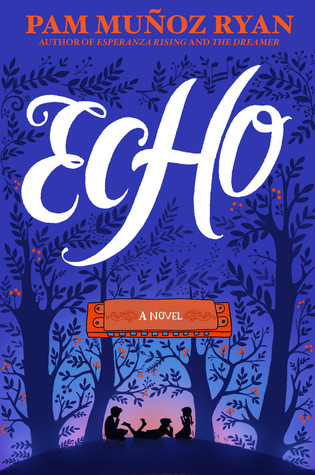 Echo by Pam Munoz Ryan has been echoing in my heart all weekend. 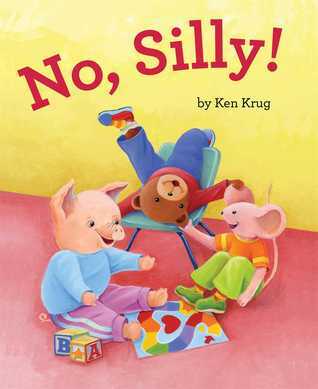 I’m not an avid reader of young adult novels. So the arrival of of an almost 600 page one, did not tempt me. 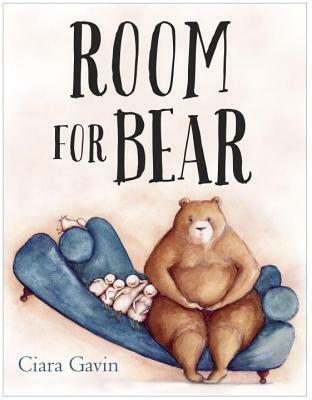 Until I continued to see one rave review after another about Pam Munoz Ryan’s new book. I decided to give it fifty pages. Then, read fifty more and fifty more. Suddenly, I realized I was almost finished with the book. 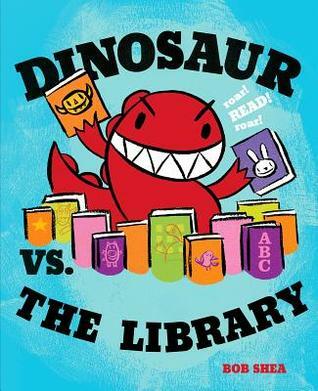 This novel reads faster than most of the 300 page young adult novels I’ve read. 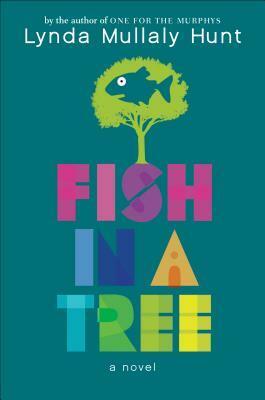 It’s classified as historical fiction; but includes magical realism. 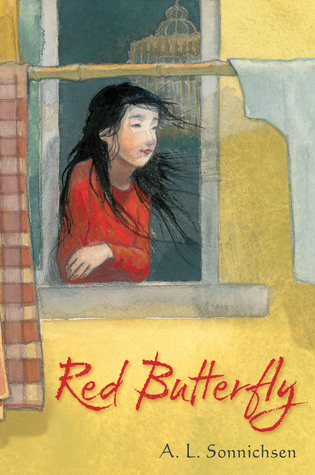 Finding a historical fiction for young adults is often difficult. Finding one that is interesting is even harder. 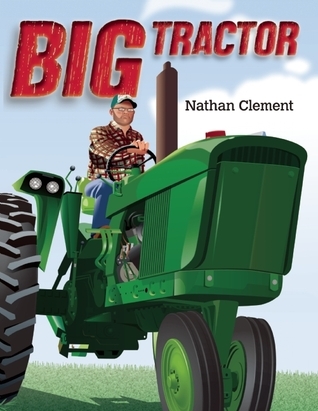 Finally I’ve found a go to for the assignment “You must read a historical fiction book.” Now I just need to figure out how to convince a seventh grader this 585 page book reads faster than Divergent. Any ideas? 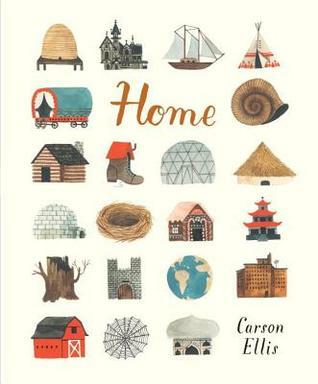 I’m highlighting Home by Carson Ellis today because of a post I wrote yesterday for my readbykerri blog. I already knew it; but that post proves I’m a homebody. 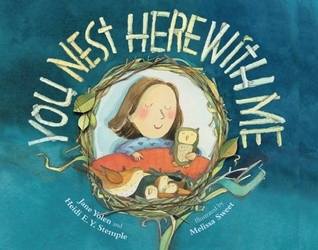 It’s no wonder I was enamored with the picture book, Home, from the first time I saw it. 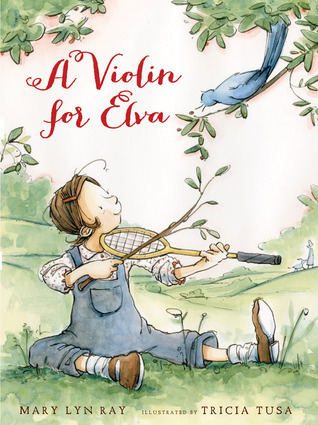 I’ve started a draft for our Mock Caldecott 2016 because of this hand-lettered book created with gouache and ink. Having moved into a small house a few years ago, I did a major purge. 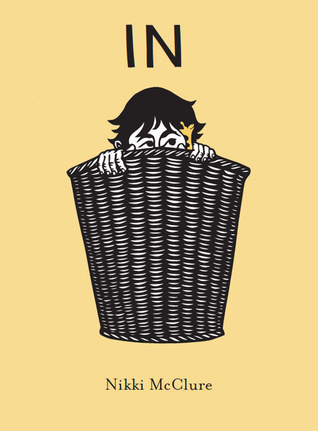 As stated in the previous post The Life Changing Magic of Tidying Up by Marie Kondo, I’ve been there long enough to know what hasn’t been used since we moved and should probably go. It’s the other part of my life which needs tidying. 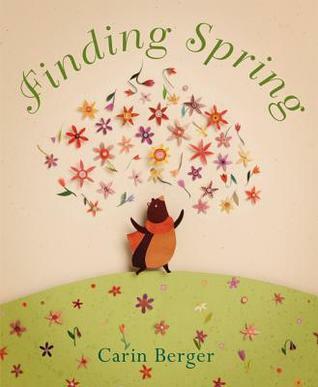 Marie Kondo encourages one to only keep things that give “a spark of joy.” I can’t follow her advice completely. If I only kept the clothes that give me a spark of joy, I’d go to work naked. Comfort and durability are the most important requirements for my professional wardrobe. However, I can fill my life with experiences that give me joy. Cutting flowers from our yard so I have fresh flowers in vases around the house. Volunteering with Postpartum Education and Support. Entertaining friends with the ridiculous things I read on online dating profiles. 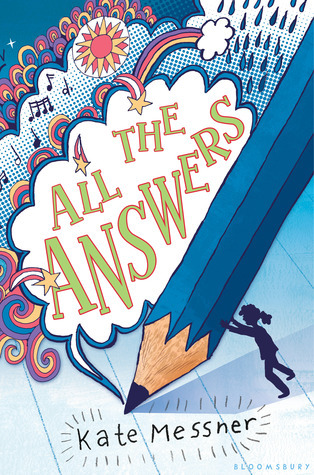 Another book review by sixth grader, Julia, All the Answers by Kate Messner. 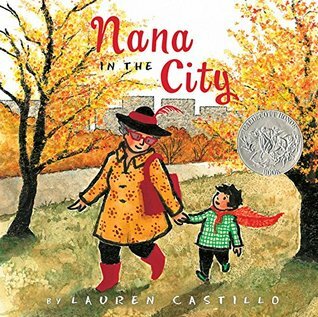 What was you favorite part of the book? I liked when Ava climbed the entire ropes course, because she overcame her fears and felt like she could do anything. Who was your favorite character? Why? I really liked Emma, her idea of having a doesn’t name each day is really funny. I also liked Mrs. Galvin. How did the book make your feel? I felt sorry for Ava because her mom had cancer, and her grandpa was sick and he died. 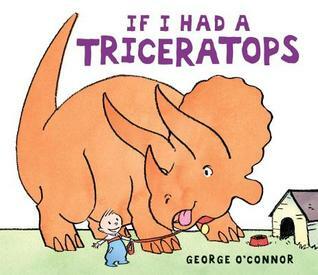 Did anything in the book make you happy? I was happy when Ava made all the people at the nursing home so happy, and when her mom got better. Did anything in the book make you sad? If so, what? I was sad when her grandpa died. 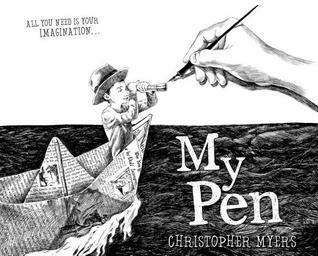 Book Synopsis from Bloomsbury Publishing –What if your pencil had all the answers? Would you ace every test? 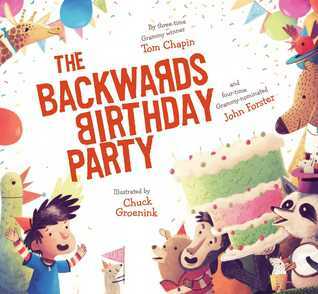 Would you know what your teachers were thinking? When Ava Anderson finds a scratched up pencil she doodles like she would with any other pencil. But when she writes a question in the margin of her math quiz, she hears a clear answer in a voice no one else seems to hear. My mom would have been seventy-three today. 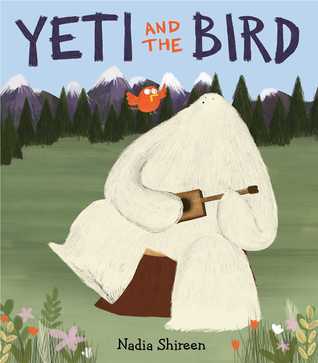 Last year two fabulous picture books were published Firebird by Misty Copeland and illustrated by Christopher Myers and The Orchestra Pit by Johanna Wright. However, I waited until today to highlight them because they remind me of my last memory with my mom before she was diagnosed with cancer. The last day of her visit, we attended the Charleston Ballet’s performance of Firebird under The Angel Oak on John’s Island. We were excited because a young lady who grew up in our suburban Atlanta neighborhood was performing. Her parents grew up in the same small town in Middle Georgia as my parents. 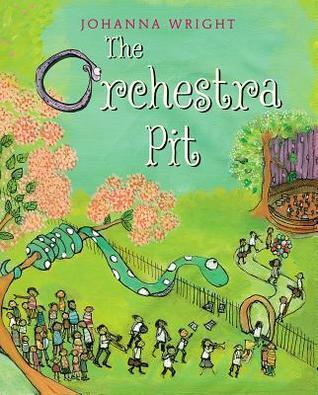 The Angel Oak is perfect location for an outdoor ballet. No scenery is needed with this majestic live oak with sprawling arms as the background. The tree is thought to be over 1500 years old. A truly magical experience. Unless, you’re a ballerina, required to dance underneath a tree where the start is delayed because two snakes are fighting over a third. Synopsis of the books from the publishers websites are below. 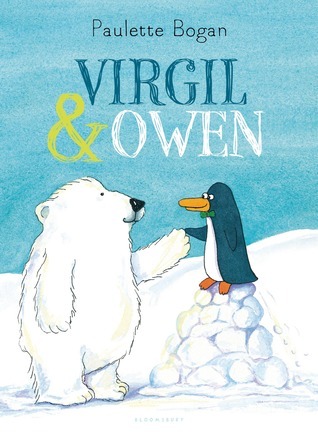 Can you tell why I waited to share these two books until today? 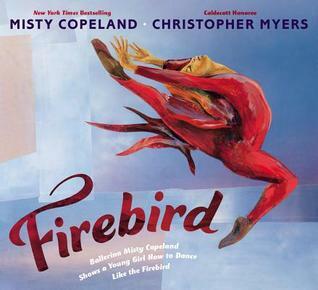 Firebird by Misty Copeland and illustrated by Christoper Myers – In her debut picture book, Misty Copeland tells the story of a young girl–an every girl–whose confidence is fragile and who is questioning her own ability to reach the heights that Misty has reached. Misty encourages this young girl’s faith in herself and shows her exactly how, through hard work and dedication, she too can become Firebird. 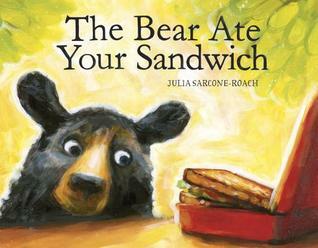 The Bear Ate Your Sandwich by Julia Sarcone-Roach – Other than a lettuce leaf, a sandwich has disappeared. 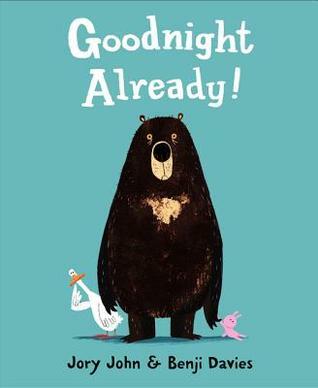 Was it the bear or someone else? ML thinks the bear. I’m not convinced. We’re curious to hear what you think. 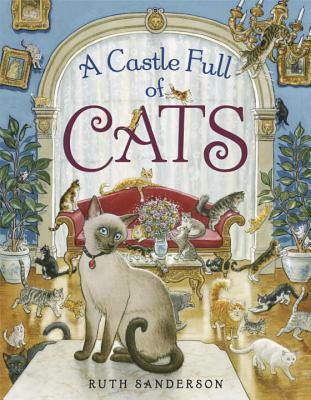 A Castle Full of Cats by Ruth Sanderson – ML thinks this book is exquisite. 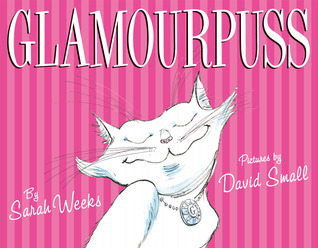 The detailed illustrations of dozens of cats, the castle, the queen and the king enchant. 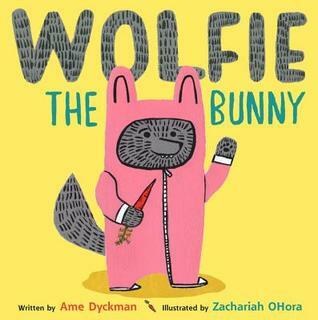 Wednesday Afternoon: Wolfie the Bunny by Ame Dyckman and illustrated by Zachariah Ohora begs to be read aloud; and it will be tomorrow at story time. Thursday Morning: The verdict is in. Wolfie is a story time hit. 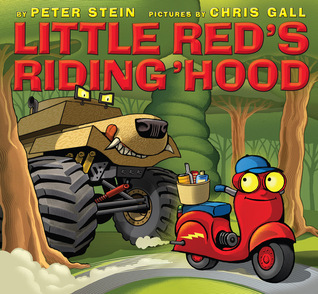 What was you favorite part of the book? I liked when Albert and Keisha stood up to the boys that had been bullying Albert. Who was your favorite character? Why? My favorite character was Keisha because she was brave and easy to befriend. If I were a new student I would really like to have someone like that to help me. I also really liked Travis, because he was so caring. How did the book make your feel? I felt sorry for Ally, but I also felt like she would make things so much easier for herself if she had told the teachers that she had trouble reading. I think that Mr. Daniels is a lot like my sister’s math teacher. She’s always talking about the funny things he does, and both teachers are very eccentric. Did anything in the book make you happy? I was happy that Ally learned to like Mr. Daniels and that Jessica stood up to Shay. 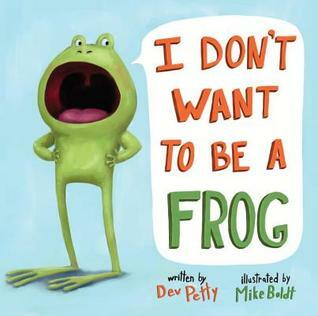 Did anything in the book make you sad? If so, what? I was sad when Ally squished the butterfly. She reacted without thinking and the lady at the Butterfly Gardens thought she was stupid.